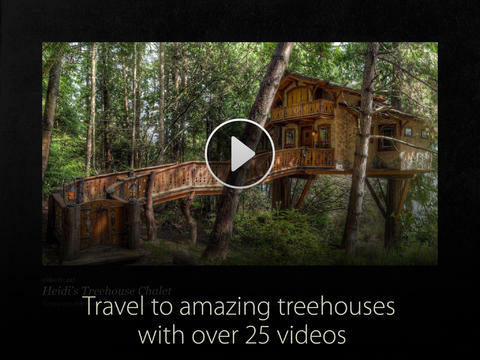 Developed by Ten Thunder LLC, Treehouses of the Pacific Northwest is a truly magical app for iPad. 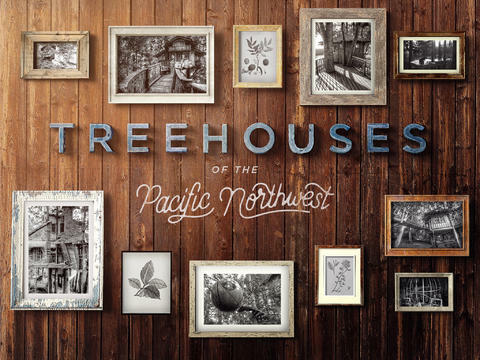 A fully interactive book, Treehouses of the Pacific Northwest takes you to the coastal wooded forests of North America where there exist some amazing and inspiring treehouses. Home to some of the largest and oldest trees in the world, the Pacific Northwest is also home to the world’s best treehouses. The app was made in conjunction with Pete Nelson from the show “Treehouse Masters” and takes you on a journey in and around some of the most impressive treehouses that you’ll ever see. The app features 125 high-resolution photographs and 27 high-definition videos that take you through the building, construction and finished product. Even more impressive are the 360-degree panoramas (there are 20 of them!) 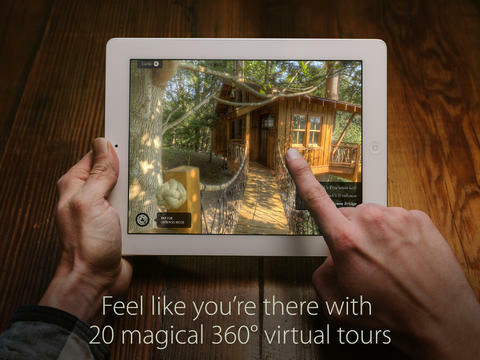 that allow you to explore the treehouses as if you were really there through the use of the iPad’s gyroscope. The interface is beautifully designed with natural colours, textures and excellent typography. The app is easy to navigate and to explore all the photos and videos. Treehouses of the Pacific Northwest also contains a wealth of information about the environmental sustainability of ‘tree living’ and construction and building hints and videos. Treehouses is available for download now on the App Store for $0.99. Highly recommended. Treehouses of the Pacific Northwest requires iOS 6.1 or later. Compatible with iPad. Follow Tapscape for the best iPad app reviews.